papagummy, 24 Sep 2011The review states that the Nokia C2-03 has "two active phones lines". I would like t... moreNo. While we r on other call in sim 1 or 2 then other sim wont work. if touch the first icon it wont open ..just it scrolling down..
&is expensive wit low value. Yes.. This isn't a good phone, there's so many features lacking or not functioning well.. I advice you all not to buy this phone.. It's not worth it.. Try other phones or brand but not this one.. Please guys...do not buy this phone.. I bought one for my mum since she really needs a new phone, she's the one who chose it, I agree the white/gold combination looks classy. It works well for it purpose, zero problems with it and I'm happy that she's happy with her choice. I wanted her to buy much more expensive phones but she say why do she need to because all she do is texting and calling. this is the worst phone i hav ever come thru .it hangs and switched off a lot .i hav returned twice my phone within 48 hrs.never buy dis cell. As everyone says, it's a bad idea for the reviewer to speak of certain shortcomings that shouldn't make a difference on a low-end phone. Still, not being able to charge it via USB is a cardinal sin nowadays, since many a low-end phone does that. Let's see how much it costs and then we'll be able to draw conclusions. I think Nokia should include wifi support on all their entry level models that you can browse the web, the store and send emails with. Many free games require web access as well. People will simply not use those features if operators charge heavily for data usage. they need to cmpare disadvanatges with price!!! Why they want smartphone type features on a budget phone? kid, 24 Sep 2011will u people just calm down a bit,consider samsung corby it falls under d same price bracket.... moreSamsung Corby II is far more priced then this phone. 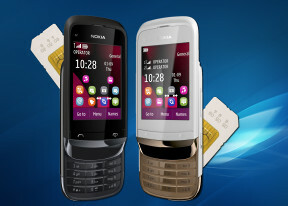 And one more thing is to mention is that it has slider keypad as well as dual SIM functionality. Also having the Nokia Maps. Also this phone do significant multitasking with the apps like Email, chat, and communities. etc. Don't you compare the phones which are comparable. At the price less then Samsung Corby II you can get Nokia 5233 which has a lot of features along with a big touch screen. And hence a lot of apps from Nokia Store compared to Samsung Apps which has not so many apps.